This was possibly one of the most moving and gripping books I have read this year. It ripped my heart out. Stomped on it. And then set all of the little pieces on fire. 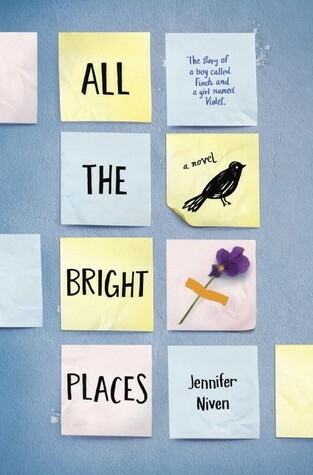 Jennifer Niven's prose reminded me a lot of Jandy Nelson. So moving. So touching. So heart wrenching. So poetic. There have been a lot of YA books about bipolar and suicide this year. It's an important topic that deserves attention. And this one does it so well. I've read some really great books so far this year, but this one just may sit at the top. This has been on my to read list for months! Definitely picking it up today!